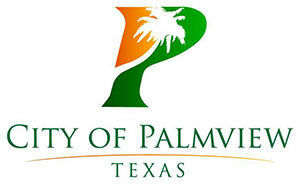 PALMVIEW — The city has authorized their attorney to apply for a Certificate of Convenience and Necessity from the Public Utilities Commission of Texas which would grant them the rights to provide water and wastewater services to an area within the city. Currently, the Agua Special Utility District holds the CCN for the area that encompasses the city of Palmview, granting them the rights to provide water and wastewater treatment services within the city. Earlier this year, though, the city launched its own wastewater project to bring sewer to a southern section of the city along Interstate 2 from La Homa Road to Breyfogle Road. The plan was, the city said, to construct the wastewater project and then turn it over to Agua SUD. However, the project became a subject of dispute between the two entities, leading to multiple lawsuits. However, discussions broke down after a joint workshop held between Agua SUD and Palmview officials in January during which Agua SUD officials insisted the city go through an application process. The city filed an application that was rejected due to some deficiencies and a new application is now pending the outcome of the case filed with the PUC, according to Olivares. That case was filed with the PUC by Agua SUD in June, requesting a cease and desist order against the city. The case is pending a referral to the State Office of Administrative Hearings, according to Frank Garza, the attorney for Agua SUD. Back in February, the city had filed a lawsuit against Agua SUD in state district court, accusing the utility of having “failed to provide public services as contemplated, failed in their duty and betrayed the public trust” as the CCN holder of the area. But in that case, Agua SUD countered by filing an injunction against the city to halt construction on the project which state District Judge Letty Lopez signed. A trial date for that case has been set for January 2019. When asked how the city’s application for the CCN would affect the proceedings, Garza said it was hard to say without seeing the application. “It’s hard to predict why Palmview does what Palmview does,” Garza said. Agua SUD General Manager Jose E. “Eddie” Saenz also said he was unable to comment without knowing details of the application.